Both from a geographical point of view, so coves, beaches, both from an artistic and cultural point of view, even Favignana, as a small island, collection and feature, but it is rich in history, characteristic details and places that will be a must to visit during your stay. In addition, it is important to remember that even the traditions in Sicily and in Favignana, are the basis of the island's culture: many will be during the summer events and culinary demonstrations, cultural, religious, to enrich the wealth of typical local traditions. Including boat trips, events, outings with the fishermen of the island, certainly will not get bored during your stay in Favignana! It will be really fun give you all the indications and information for an active holiday on the island during the coming season, from May to October . On arrival in Favignana we will also give all indications of where to eat in Favignana, restaurants and typical gastronomy, beaches to visit the first few days and what the morning, as the afternoon to see the beautiful sunset, depending on the wind and the currents of the day. If you already have in mind to give you a romantic weekend in Favignana and you've decided that this will be your destination, look what we propose for your weekends on offer at this time, the all-inclusive packages and promotions! And if you give priority to the portfolio, however there is no problem: take a look at our price list and find the weekend at the lowest possible price! 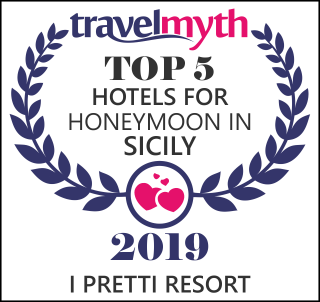 Sicily, and even more Favignana, Marettimo and Levanzo, are lands that encapsulate the history, culture, traditions, and a truly spectacular and unmatched scenery. Sicily has 21 well-protected nature reserves and six protected marine reserves. Worthy of note are also the beaches.